What Things to Do Before Registering for Google AdSense? So, you want to apply for Adsense to make some money from your blog and enjoy the life you always dream of? Who does not anyway? That’s the dream of every blogger to get AdSense approved. I’ve to tell you something. That’s not easy. Google AdSense is very strict when it comes to approving new application. Everyone is trying to trick AdSense to get approved so they have made the process very hard. In this article, I’m going to share with you everything that you need to do before applying for Google AdSense program to actually get approved. Does my blog qualify for AdSense or not? Am I eligible to apply for Google AdSense? What are Google AdSense requirements? Why Google AdSense rejected my application? What to do if Google AdSense reject my application? Google AdSense is one of the oldest networks to offer ad publishing and works at Pay Per Click system. When it comes to the legitimacy of Google AdSense, it speaks for itself. Google AdSense have thousands and thousands of satisfied customers and publishers. AdSense pays on time, every time. One more reason for choosing Google AdSense is that we can earn huge amounts of money if we do our work in right way. There are many bloggers who are making a complete living from their blogs and Google AdSense. Therefore, Google AdSense should be the number one choice among all the other available networks. It’s paying rates are better than all of other networks so that’s the biggest reason it is so popular among bloggers. But since everybody is running behind them, they have made the approval system very strict. You make little mistakes and get disapproved every time. Here are few reasons why Google will reject your AdSense application. Here are the most common rejection reasons and Google AdSense requirements that you should keep in mind before we get into details. Your website doesn’t have enough text on for Google specialists to review. Google gives a lot of value and attention to the content of the blog before accepting it. If the content is poorly written and has grammatical mistakes Google will reject the blog right away. Not only the content needs to be grammatically correct, it must be unique and has to provide value to the users and readers of the blog. So the number one reason is the poorly written content on your blog. What will you do if you land a page with full bright yellow background with white text on it, having huge buttons all over the place? Yes, you’ll never visit that website again . Blogs which are poorly designed and are hard for the visitors to understand gets rejected by Google AdSense. You must have a good and neat design which comforts the eye and is beautiful in the look. There are some pages which you must have before applying to Google AdSense if you want to get accepted. No rich, unique and meaningful content, no organic traffic, pages with little to no original content or bad user experience through clear navigation and organization. Your website may be the one that drives traffic through illegal sources, sites with excessive keywords or poorly coded design are usually rejected. So you need a complete guidance and list of things that you need to do before applying for Google AdSense. The #1 thing you need to do before applying for Google AdSenseis to write high-quality content. This is very important thing which you can’t ignore at any cost. I mean it! Google loves the blog who are providing high-quality content and their visitors are enjoying it. Keep in mind that your application will be reviewed by humans and you have to impress them to get approved by AdSense. An About page has a major role and importance even if you don’t want to apply for AdSense. But when it comes to AdSense, they are about zero chances of getting approved if you are not showing this page. About page simply describe you and your blog. This will not only help you establish a relationship with readers but it will also make them trust you. It’s quite obvious that everyone has his/her own opinion. What one of your readers likes may be bothering someone else. Then it is better to give them an opportunity to speak up to you and tell how they feel about your blog, what they want to be edited, what they liked or hated. Create a contact page, if possible add your email that you are going to apply for Google AdSense. If possible do get some professional email address like [email protected] and your social profile links too. By creating this you are telling Google that we care for our customers, visitors and we are ready to help them. They can contact us anytime. It will also show the Google AdSense Team that is viewing your site that you actually care about your readers and not only the money and AdSense. One important step: Google AdSense mention in their rejection email that your website should have a clear navigation menu to help your readers find your pages and access the content before you think about applying again for AdSense. Here’s an example to illustrate this point. When you apply don’t forget to put your name and email address in some easily visible area like about and contact pages. It will confirm to Google AdSense team that it is the same person who applied for AdSense and not some spam, crappy bots. This will speed up the verification process and within no time, you’ll be able to enjoy fully approved AdSense account. What should be the minimum number of posts before applying for Google AdSense? There is no confirmed answer. Because I have seen very established blogs with 300+ posts and their owner telling me that Google AdSense is rejecting them while somewhere bloggers with few posts or even less than 10 are enjoying making money with AdSense. Exactly, what I said that there is no actual answer. However, we can always predict things. According to my experience, the best time to apply for AdSense account is when you have at least 20 good quality posts. Your blog posts length should be at least 600+ words with quality content. I visited his blog and noticed these things that actually matters to get Adsense approved. This is the mistake that new bloggers are making who are less than 18. They write an incorrect age and get into trouble. Use your correct date of birth and age while applying for Google AdSense account. Because Google AdSense is not for people who are under 18. Some people realize this problem after being disproved a few times without any legitimate reason. So I advise you to be accurate while typing your age. As mentioned earlier, you blog design matters a lot. It should be professional and not like a messy photo gallery. A clean, professional and fast-loading design is appreciated by Google. When you visit a website what’s the first thing you look for? It’s blog design. You’ve to build a good first impression on your blog readers to engage them. So be careful because anything can kill your chances of getting approved by AdSense. There are thousands of websites who provide free professional looking themes for your blog. All you need to do is to search for them. If you’re on WordPress self-hosted blog then I recommend getting a premium theme from MyThemeShop. And if you are still using blogspot then there are many great websites where you can find free professional looking blogger templates for your blog. Be careful with what type of content you are publishing. Because it is something that truly matters. Here are some common content types that are not accepted by AdSense. 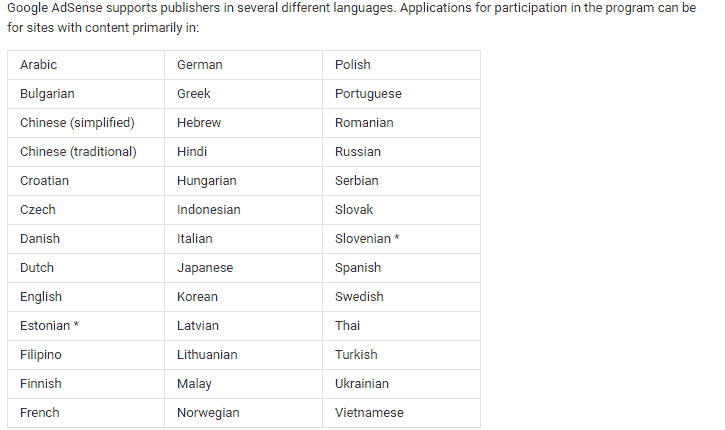 There are few languages that are supported by AdSense so make sure your blog language is in the list of these. Google AdSense team mentioned in one of their forum posts that they stopped accepting niches that are already saturated i.e making money, marketing, website and SEO stuff. If you already have written about these content that AdSense doesn’t support, you can either stop dreaming about AdSense or get rid of these content. Google has made changes to their policies. If you have a blog with blogspot and the domain is yourblog.blogspot.com then chances are you will get approved quickly. 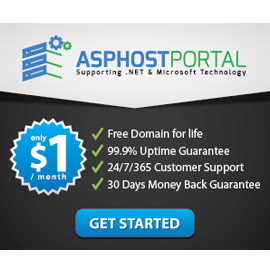 But you will not be able to use that on any other domain like .com. You’ll have to submit the request to upgrade your AdSense account. As for today, you must have your own unique domain that specifies your blog. If you don’t have one yet, stop dreaming about getting approved with subdomains and go buy a Top Level Domain. It will cost anywhere from $10-$15/year. The best domain is the one with .com extension. Choose a short, unique and easy to remember domain that is related to your blog niche. Another important thing about the domain is its age. Because for some of the Asian countries like India, AdSense has placed domain age restriction. They don’t accept any sites which are less than 6 months old. There are many AdSense stories that I read on many forums that some people got approved for few weeks old blog and other got rejected for the blog that is even more than 6 months old. So age doesn’t really matter when you have a high-quality blog that’s focus more on helping your visitors. If you’ve a website that is less than 6 months old then you can still consider applying for AdSense. If you have any other ads placed like Chitika, Infolinks, Clicksor or anything, it’s time to drop them off. Make your blog free from ads. Even Google AdSense allows you to use other ad networks along with them, it’s better to remove the ads before applying and don’t put them back until you get a reply from AdSense team which usually takes anywhere from few days to weeks. So, before submitting your application for Google AdSense make sure to remove all the ads on your blog from any other network. Google hates the sites that are getting paid traffic and mostly penalizes them so there is not a damn chance of getting approved by AdSense for a site that is getting paid traffic. You can bring traffic from search engines or any other way you want but if you want to earn via Google AdSense the right way, paid traffic is not a solution. Also, note,that Google does not accept site which gets traffic from illegal sources. So focus on getting traffic from legal sources like social media, search engines, and related blogs. To sum up, getting an AdSense approved is not really hard if you have a quality website that is focused more on high-quality content, optimized for search engines, uses a great design and with the good number of visitors. Because that’s what Google wants from its every publisher. Make sure to do these things before applying for Google AdSense. I guess these are not too hard. Don’t be sad if Google AdSense doesn’t approve your blog. There are many other ways to make money online without AdSense. One more thing, don’t reply too much on AdSense. Try to make money through your blog from other business models. Ads network will not give you much as other income methods like affiliate marketing and selling your own product.